Keep things light this summer with a simple, nutrient rich salad. Crunchy, nutty, tangy and sweet, this salad is packed with flavor and substance, yet leaves you feeling light enough to enjoy your favorite summer activities. 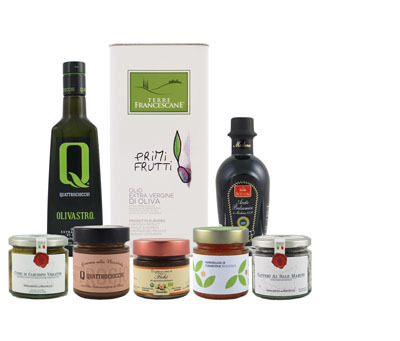 The Olio Marinese olive oil has a creamy, nutty, slightly bitter taste, which marries well with the sweet and tangy dressing, buttery garbanzo beans and slivered almonds. Versatile dishes like this one become quick favorites. Most of the ingredients can be kept on hand in the pantry, making this salad a picnic essential and the perfect last-minute potluck dish. (Not to mention it holds up well at room temperature.) Makes a great side dish, just like pasta salad, or atop a bed of lettuce for a complete meal. The dressing recipe can double as a grilled chicken marinade. Slice the chicken into strips and place across a heaping portion of the quinoa salad for a relaxing patio dinner. Place quinoa and water in a small pot with a lid. Bring to a boil on the stove. Reduce heat to simmering and cook for 10-15 minutes until water has evaporated and quinoa can be fluffed with a fork. Remove lid and set aside until cool. In a mason jar with lid (or a small bowl), combine all dressing ingredients and mix well. 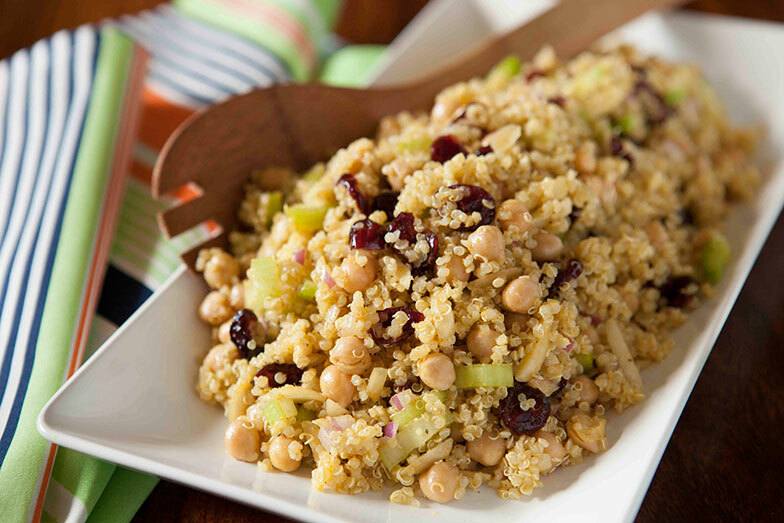 In a large bowl, combine the quinoa, celery, onion, beans, cranberries and almonds. Add the dressing and mix gently. Chill until serving time but tastes best when brought up to room temperature. Don’t like cranberries? Add golden raisins, instead. How about including some edamame (soy beans) or chicken for extra protein? Not a fan of quinoa? Couscous is a great grain substitute.